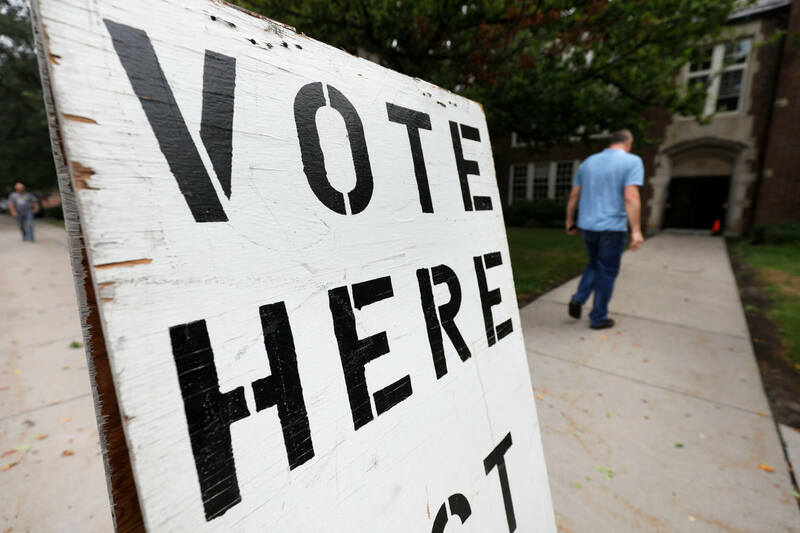 WASHINGTON — Michigan’s congressional delegation was split down the middle on Friday as the U.S. House passed a broad election reform and ethics bill that Democrats have made their top legislative priority this Congress. The 14-member delegation is evenly divided by Republicans and Democrats and the vote on Friday followed that pattern. The legislation, referred to as House Resolution 1, passed the House on a vote of 234-193 along party lines. Its passage marks a symbolic win for Democrats, who seized control of the chamber this year after eight years in the minority. But the measure is unlikely to get a vote in the GOP-controlled Senate or make it to President Donald Trump’s desk. The House Democrats’ massive bill aims to — among other things — curb the influence of money in politics, increase public financing of campaigns, expand voting rights, end partisan gerrymandering and force the disclosure of presidential candidates’ tax returns. “For months, for years, really for decades, millions of Americans across the country have been looking at Washington and feeling like they’ve been left out and left behind,” U.S. Rep. John Sarbanes (D-Md. ), the lead sponsor of the bill, said Friday outside the U.S. Capitol. Republicans in the House and Senate have opposed the bill, warning that it’s unconstitutional, would limit political speech and would use taxpayer cash to fund political campaigns. While two Michigan Republicans, U.S. Reps. Justin Amash of Cascade Township and Fred Upton of St. Joseph, recently broke with their party on another big vote. The pair voted to condemn President Donald Trump’s emergency declaration to build his border wall, but both were in line with their party on HR 1. Democrats are using McConnell’s comments against him. “One senator said this is a power grab. Yes it is, it’s a power grab for the American people,” California Democratic U.S. Rep. Zoe Lofgren said Friday. Democrats in both chambers intend to use the House passage of the bill — and the expected inaction by the Senate — as a messaging tool. They think GOP opposition to the bill won’t go over well with voters. Advance Editor-in-Chief Susan J. Demas contributed to this report. Michigan native Robin Bravender is the DC Bureau Chief for the Newsroom, a consortium of 10 nonprofit news publications, including the Michigan Advance. Previously, Robin was a reporter for Politico, E&E News and Thomson Reuters.